Community Forum took place on Saturday, February 2, 2019. 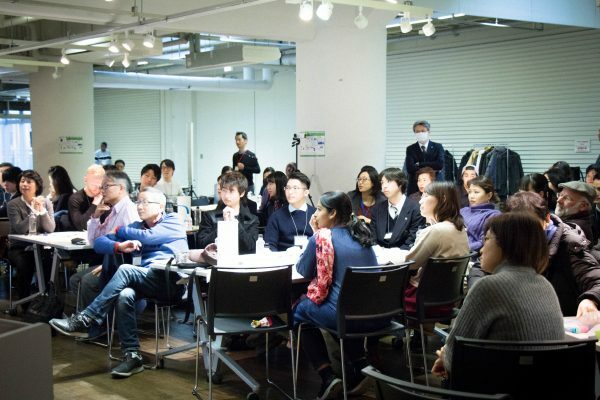 The event aimed to enable people with different views and backgrounds to exchange opinions in order to strengthen the ties between them and their communities, and deepen the understanding of what it means to live in a multicultural environment among all citizens of Kobe, including foreigners. 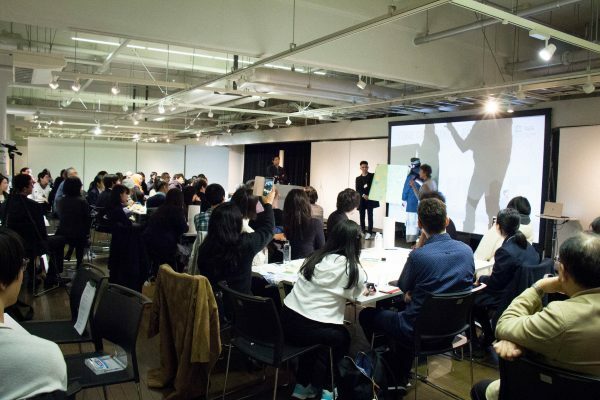 The third of such forums, this time it was jointly organized by the Kobe City Government, Kobe International Center for Cooperation and Communication, Kobe Municipal Fukiai High School and Design and Creative Center Kobe (KIITO). The theme of this forum was “Rediscover Kobe!” and everyone in attendance engaged in active discussion. In total, the forum was attended by 85 people from 21 countries, who all participated in a workshop where they shared opinions about Kobe. The forum commenced with a presentation by the students from Fukiai High School, in which they introduced the concept of “DEEP Kobe” and suggested looking for the hidden treasures of our city. This concept became the keyword for the workshop and after the presentation the participants split into groups and discussed the attractions and charms of our city that only they knew about. 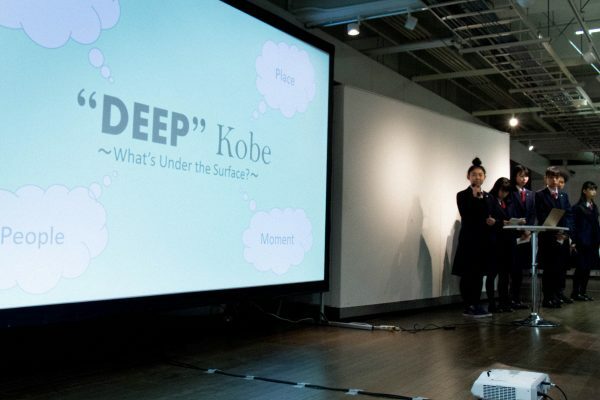 In Japanese, places and events that are not well-known to the general public are often referred to as “deep,” so we urged the participants to share their thoughts on the essence of “DEEP Kobe,” and each group presented various opinions and introduced multiple locations. Now, we would like to share their thoughts on this website. If you find some place in Kobe that you have not visited yet here, please give it a try and discover a new side to our city! Click on the marks on the map to see the information provided by the participants of the forum. COPYRIGHT KIITO DESIGN AND CREATIVE CENTER KOBE ALL RIGHTS RESERVED.